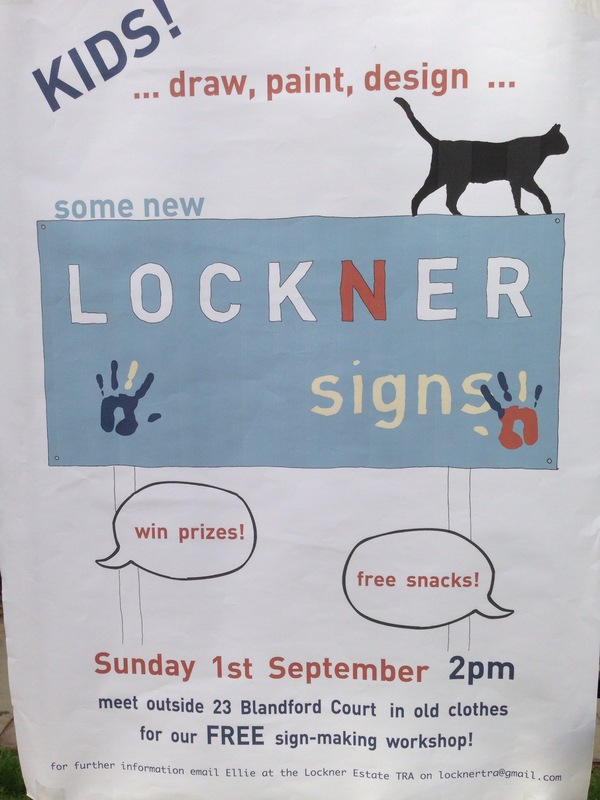 In September 2013 the TRA ran a children’s workshop to help to design some new friendly signs for Lockner. Lockner children had fun in the sun under the guidance of a team of architects and artists who are resident on Lockner. We will be working with Hackney Homes to get the signs printed and put up.